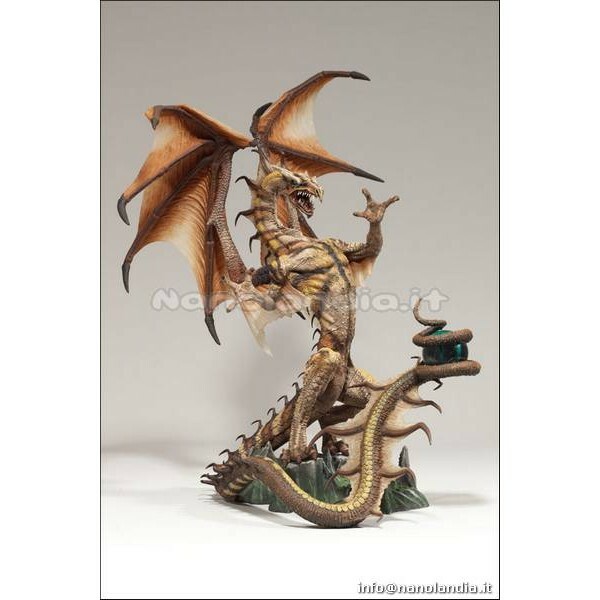 Among the most iconic figures in the McFarlane's Dragons collection, this figure depicts another member of the great Sorcerers Clan complete with a mysterious and mystical orb. 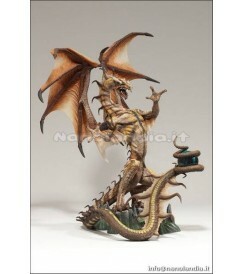 Height: 8 1/4" from custom base to top of wings. Articulation: Mid-neck, shoulders, base of and mid-tail. Coiled tail holds orb.